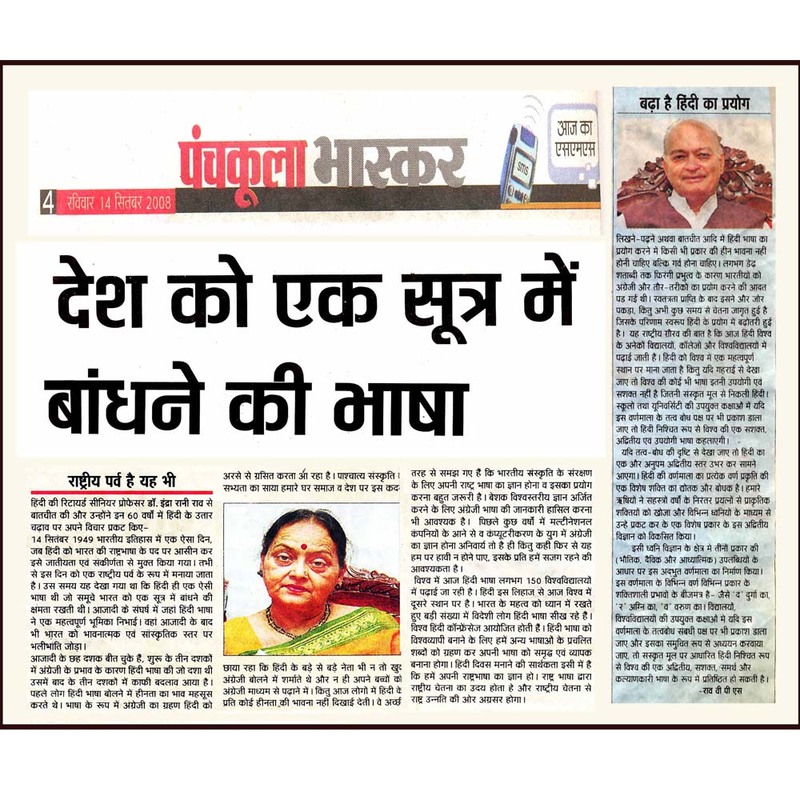 As a result of general awakening, the use of Hindi language has increased …. Hindi occupies an eminent place in world languages…. A deeper peep into it would reveal that if taught and learnt properly ; Hindi, with roots in Sanskrit, can be a very powerful, useful and unique language of the world, observes Sri Rao. Sri Rao’s message on Hindi Divas. The Dainik Bhaskar, Panchkula ; September 14, 2008.